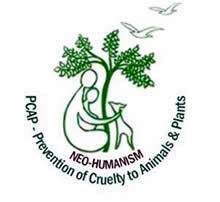 1200 plants like mangoes, amla, shimul, sagwan, guava, jackfruit, shaal etc. were recently planted at Ananda Nagar at various places like Pasaka Sanctuary, Ananda Marga High School and also distributed to village people. 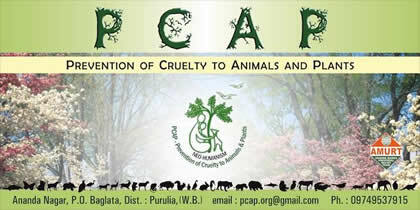 The plants were issued from the Forest department and planted by PCAP with school staff and students. The concept behind this slogan is if one person plants a tree and takes care of it, we can grow 7 billion trees every year. 800 plants were planted at newly purchased land (6 acre) for Gurukul Public School at Kashijharia Village, Bokaro, under the guidance of School Staff & PCAP Dept. 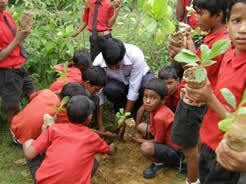 400 plants were planted at Ananda Shiila Master Unit by the Forest Dept, under the guidance of A’c Gitiishananda Avt. Principle Ananda Marga High School, Ananda Shiila’ & PCAP Dept. 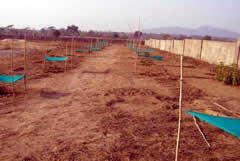 Here at Ananda Nagar we planted more than one hundred herbal plants like neem (margosa), amla, hartkii, blackberry etc. The concept behind this project is to plant the trees and herbals prescribed by Shrii P. R. Sarkar in Yogic Treatments & Natural Remedies. 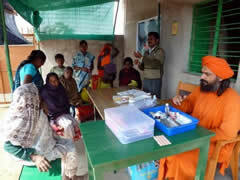 Regular Medical Camp is also held at the Microvita Herbal Garden, Ananda Nagar.